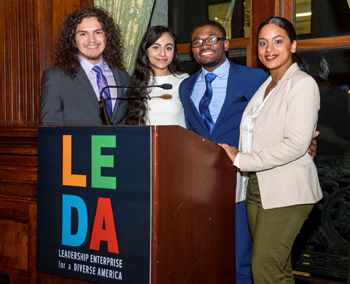 LEDA empowers a community of exceptional young leaders from under-resourced backgrounds by supporting their higher education and professional success in order to create a more inclusive and equitable country. 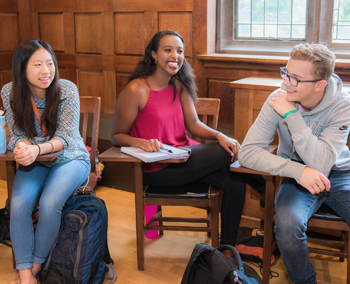 Exceptional students from low-income backgrounds have unequal access to the top-tier colleges that cultivate most of our country’s leaders. LEDA runs the LEDA Scholars Program, the LEDA Career Network, and the LEDA Policy Project. 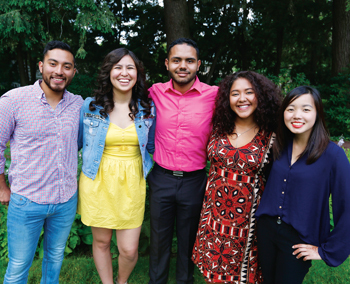 A look at LEDA Scholars since our inception in 2003. Keep up with the latest about LEDA. Like many promising students from modest backgrounds, Nolan Arkansas started his college search with a major barrier: He was unaware of all of his options and undervalued his own potential. Arkansas grew up on a Cherokee reservation in North Carolina, earning mostly A’s in school and developing some fluency in his tribal language. He figured he was bound for a public university in his home state or just across the border at the University of Tennessee. Elite private schools seemed inconceivable. But a growing movement of nonprofit talent hunters and advisers is seeking to raise the ambitions of disadvantaged students and connect them with premier colleges, attacking a widespread problem researchers call “undermatching.” Some are helping eye-catching numbers of students land at colleges with low admission rates, including Georgetown University in Washington. 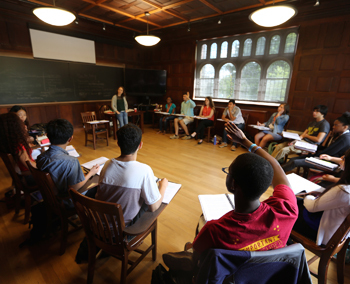 What the numbers show about LEDA, a nonprofit college advising pipeline to selective schools. Hailing from 41 colleges and universities across the country, 152 students are participating in the 2018 LEDA Career Institute. Make a donation to the Dr. Gail Furman Scholars Fund. Your contribution will help diversify leadership in America. 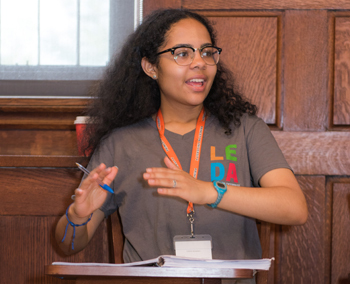 Our e-newsletter about LEDA Scholars goes out twice a year.